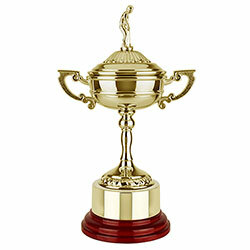 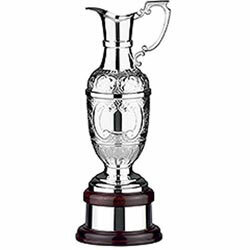 Highly detailed 12.75 inch silver plated golf trophy. 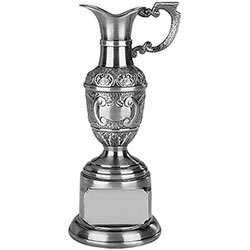 Exclusive UK made St Annes claret jug with lifetime warranty.Complete with mahogany base and plinth band. 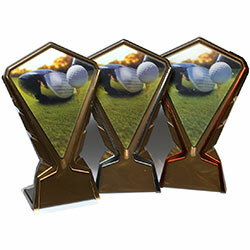 Free engraving text and carriage.